5StarStorage, Morena Storage and Solana Beach Storage are full-service storage companies that provide a variety of storage unit sizes and types to the public for personal, business and recreational storage use. We offer many unique services such as: a free truck and professional mover to help you load and unload your items into storage. We also provide free water, cookies, candy, coffee and tea. We provide free shelving for your room and free plastic to cover your items. 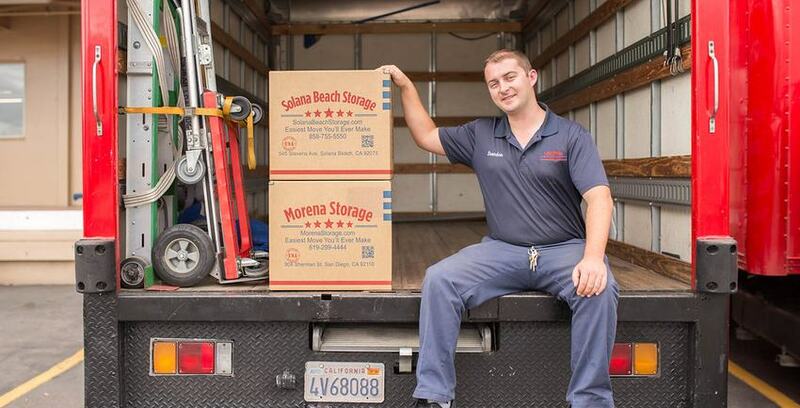 If you’re looking to clear up some much needed space at home or finding yourself with limited to no space to hold much needed business items, Morena Storage and Solana Beach Storage are for you! We offer clean, secure storage solutions at competitive prices. What size unit should I rent? Your storage room size depends on the size and amount of the items you have. We can help you fit into the perfect size room that fits all of your items. Your room size can be adjusted as you upsize or downsize, whatever will work best for you. We are here to help you with these transitions and save you the most money. If you are over 18 years old and have a valid ID and a valid credit card, then you can rent storage. It is as easy as that. Ok, I can rent, but who else has access to my storage unit? The unit you rent is secured with an issued lock and key. It is also double locked with another company lock. Our facilities are safe and secure. It is up to you who you give your key to, but we do not let anyone in your room without signing in to our front office and each customer must present the key to their rooms. Indoor storage, drive-up storage, climate control storage, etc. What’s the difference? Our facilities offer unique storage sizes and types. We provide climate controlled units which never dip below 65 degrees F or higher than 85 degrees F. If you have an item that is susceptible to hot weather, such as: books, electronics, antiques, musical instruments, photographs, artwork and other items, then ask us about climate control. Indoor storage units are housed inside a one, two or three story building offering less exposure to harsh elements. Units are accessible via industrial elevators and our facilities often have push-carts and dollies to help you move larger items. Drive-up storage units are perfect for those looking for quick, easy access to their items. Sign in, drive straight up to your unit, park, unload, sign out and you are done. How long can I rent a unit? Rent your unit for as long or as short as you need! We offer month to month leases and bill in one month increments. Our goal is to make your storage experience as simple and easy as possible. We do not require any notice to vacate. Do you provide a protection plan while my items are stored at your facility? Protection Plan coverage is included in all of our leases at our facilities. It satisfies our lease requirement we have in place. Renting a storage unit is similar to renting an apartment. You may have renter’s or homeowner’s insurance for your items which may cover your items while in storage, however you probably have a deductible. Our protection plan provides additional coverage with no deductible, so no out-of-pocket expense! We accept Visa, Mastercard, American Express, Discover, checks, cash and money orders. We also accept payments online once you are a tenant. Automatic payment is also available.